The smell of sawdust has returned! We have two new artists doing amazing things with wood. John Parkinson (above, and find him on Facebook) is creating beautifully handcrafted custom furniture. 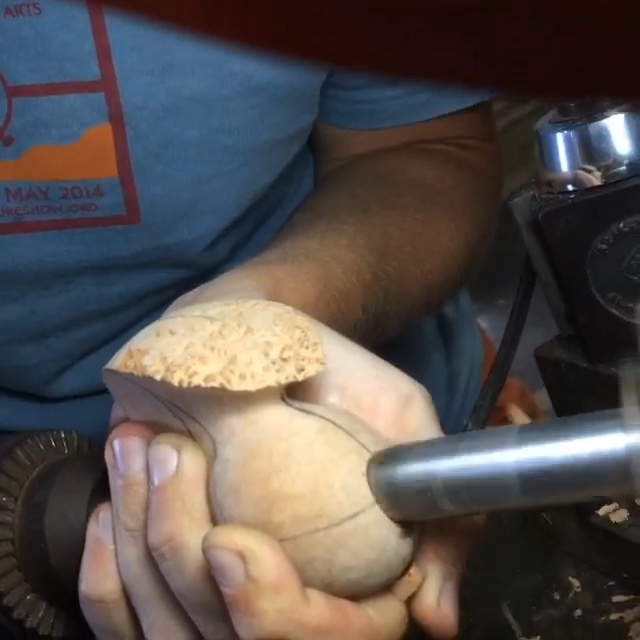 David Huber (www.dshpipes.com) is using his lathe and various sanders to turn small semi-circles of briarwood to create top of the line artisan pipes.You are more than welcome to come in and watch the process - especially on Last Thursdays @ Liberty Arts.